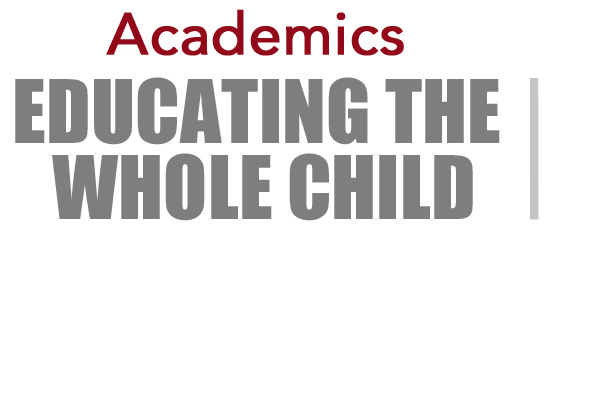 The mission of Saint Thomas the Apostle Roman Catholic School is to teach our children the life and message of Christ by instilling deep faith, academic excellence, and a commitment to service. Saint Thomas' academic program is challenging, engaging, and strives to inspire a life-long love of learning in our students. 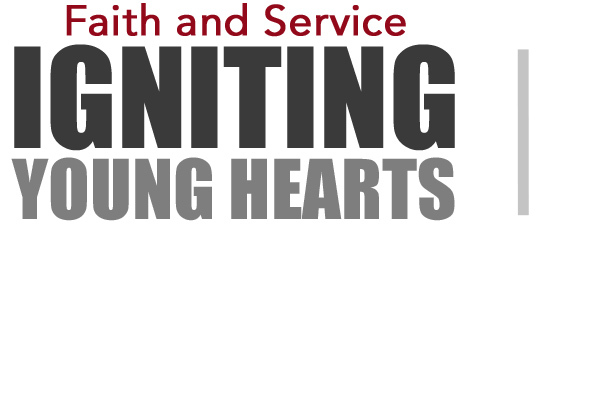 Helping each student develop a personal relationship with Jesus Christ is at the heart of a St. Thomas education. For over 50 years, Saint Thomas, has been preparing students for success in academics while providing a nurturing and safe place for students to succeed. The STA community is like no other. 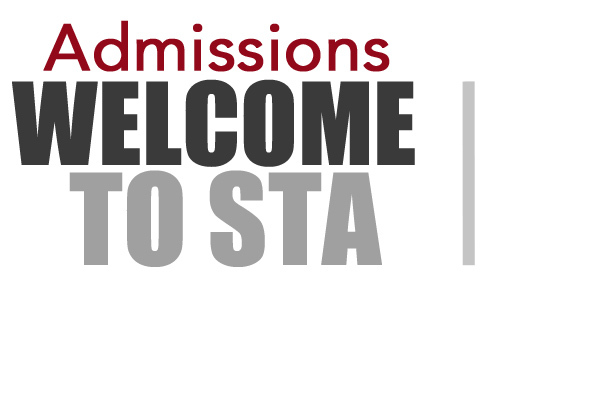 Many parents and students speak of STA as their "extended family." 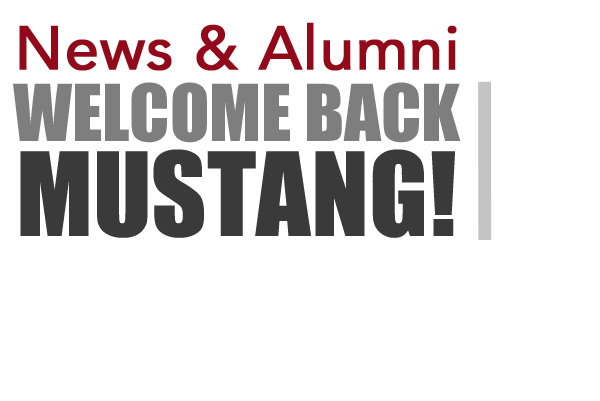 Your presence and deep-rooted connections within our school and parish play a key role in our reputation as a strong, close-knit community built on faith, family and Mustang tradition. 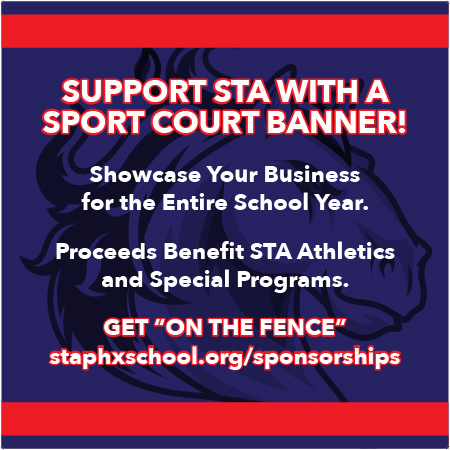 Show STA your support by sponsoring a Sports Court Banner! 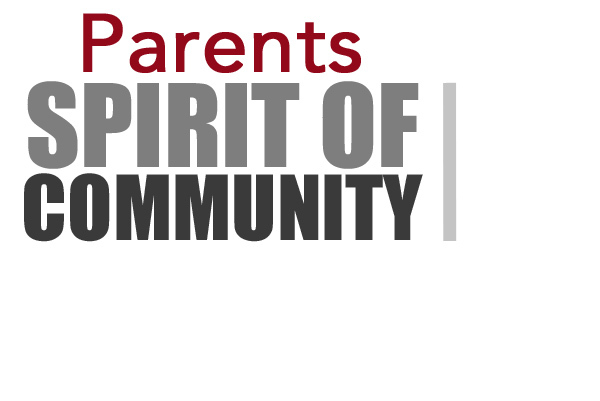 Promote your company or your family's name and message for the entire 2018-19 school year. Details and payment can be made by clicking here. 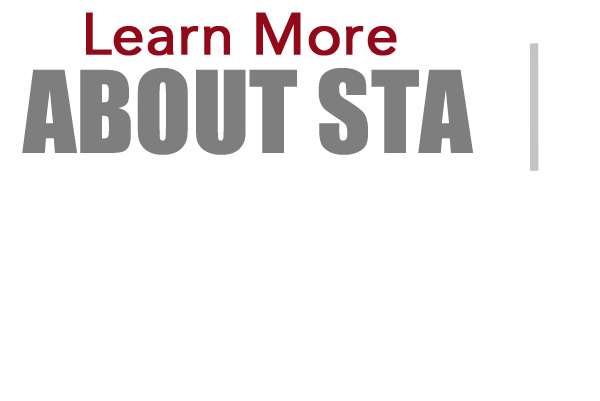 When you become an annual STA Corporate Sponsor, 100% of your financial contribution goes to support important educational and extracurricular programs. In return, your organization gets to capitalize on the many promotional opportunities that come with each of our major events throughout the year. 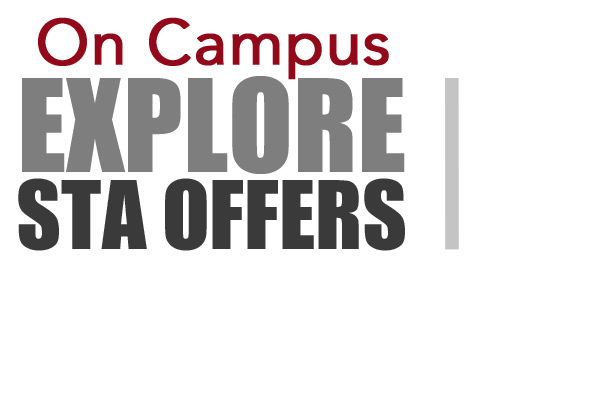 Even more, you’ll enjoy event perks like premium seating, ticketing, apparel, food and beverage! Learn more about the perks and benefits by downloading this year’s Corporate Sponsorship Package here.